If you felt a great disturbance in the Force, you’re not alone. An official statement from Lucasfilm confirms that the new movies, Star Wars Episodes VII – IX, will discard most of the previous Expanded Universe except for Star Wars: The Clone Wars and Star Wars: Rebels animated series. 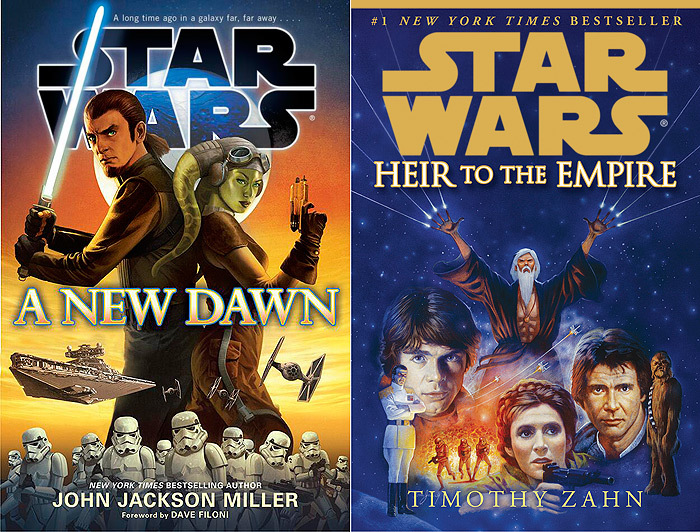 In addition, Del Rey Books has revealed the book cover illustration for their first release of the new Expanded Universe novel Star Wars: A New Dawn.